Strayer and Capella are forming a company worth $1.9 bln as regulatory pressures force them to improve the quality of their degrees. Pooling resources, and slicing out $50 mln in costs, gives them a better chance to disrupt America’s overpriced higher-education racket. 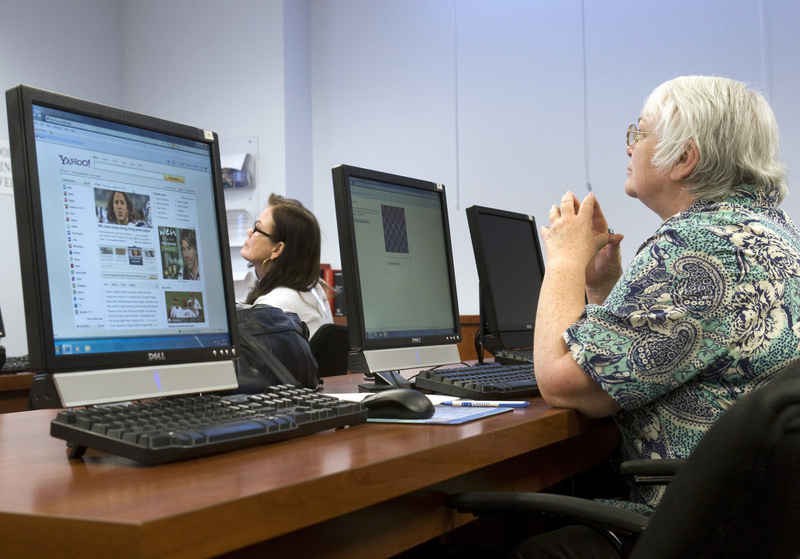 Waitress Renita Rhynes (L), 53, and Jinny Hanson, 64, a former postal worker, attend a basic computer class at the Foundation for an Independent Tomorrow (FIT) workforce development center in Las Vegas, Nevada October 20, 2011..
Strayer Education announced on Oct. 30 it will merge with smaller peer Capella Education in an all-stock deal. Capella shareholders will receive 0.875 Strayer shares for each Capella share. The $1.9 billion combined for-profit company will offer doctoral, master's and bachelor's programs, mainly for working adults across the United States. Strayer shareholders will own about 52 percent of the combined company and Capella shareholders will own about 48 percent. The merger is expected to yield annual cost savings of approximately $50 million.